Japan’s home run explosion is making the obligatory sacrifice more and more of a stretch for NPB managers. I love seeing a perfect bunt as much as the next fan, but hate the obligatory, let’s-take-a-bullet-for-the-sake-of-Japanese-winning-baseball-first-inning sacrifice as much as any of you, I’m sure. Although the sacrifice bunt is celebrated as the epitome of Japanese baseball dogma, it’s popular now like it never was back in the day. Small ball has always been close to the heart of Japanese ball, but the bunt REALLY became popular in the late 1970s when former players of legendary Yomiuri Giants manager Tetsuharu Kawakami began taking over one NPB club after another. The irony is that the bunt reached its most popular peak in the 1980s, when offense and home runs were at an all-time high and spearheaded by then Seibu Lions manager Tatsuro Hirooka. 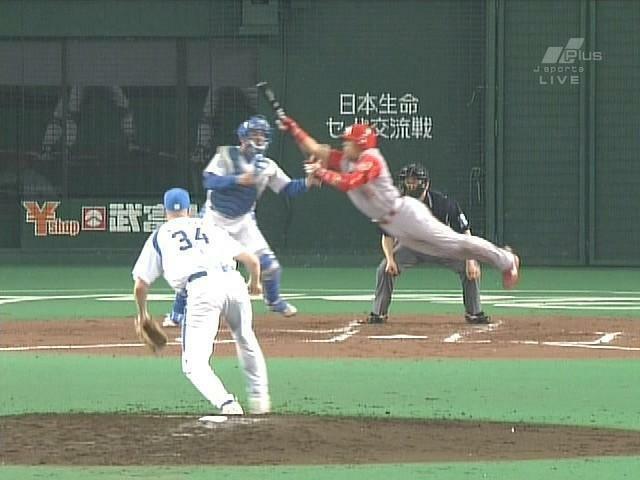 That’s when “the bunt IS Japanese baseball” was REALLY born. It’s not some age-old doctrine but a revisionist history — an explanation after the fact about how a policy that didn’t exist at the time of a perceived “golden age” was the secret to that era’s quality. In that respect, Hirooka’s popularization of the bunt is reminiscent of Japan’s belief that bushido was a code warriors of a purer era lived by, when in fact it was a code meant as a wakeup call to men of samurai lineage who were warriors in name and social status only. It was a code that didn’t describe reality but was rather a set of moral ideals for warriors in a society without wars to aspire to. Japan’s funny about the past. If one glorifies one’s famous predecessors, that goes over really well, whether it’s true or not. In fact, it’s something of a cottage industry that is hard to assail. If I tell you the Giants who won nine-straight Japan Series did so because of the sacrifice bunt, and you say it’s not true, your words can be perceived as criticism of a legend of the game. The most famous example recent example of this was former BayStars skipper Hiroshi Gondo. The man, who asked his players to call him “Gondo-san” (Mr. Gondo) rather than Manager Gondo, was an iconoclast. He attacked a lot of Japanese pro baseball traditions as being moronic and a waste of time and was tossed out on his ear — despite a very successful run as skipper. Yet, now, when more objective information is actually available, people will still argue that the first-inning sacrifice is key to winning games when it so obviously isn’t. But those days are numbered. It appears now that the current offensive explosion appears will finally drive the bunt’s arch proponents underground. Digression aside, there has been a very peculiar relationship between win percentages and first-inning sacrifices. Prior to the introduction of the deadened standard ball in 2011, see here and here, the relationship between wins and first-inning sacrifices favored visiting teams that bunted with no outs and a runner on first. From 2011 to 2016, home teams have done better bunting in the first inning of scoreless games with no outs and a runner on first. Although the data this year is limited, in games through June 15, with home runs going through the roof in NPB like balls off Shohei Ohtani’s bat, the first-inning sacrifice by the No. 2 hitter appears to be approaching its final resting place. In 71 games this season with a runner on first base in the top of the first, No. 2 hitters have had plate appearances ending in a bunt attempt (I have no record of fouled bunts before two strikes). 2017: 57 chances, 14 attempts (25%) with a .357 win pct. 2017: 58 chances, 11 attempts (19%) with a .364 win pct.